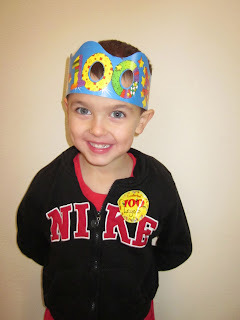 Today was Cooper's 100th day of school. He had a great day at school. They had a really fun day with many 100 item activities, including a snack mix made up of 100 things and a 100 fruit loop necklace. Cooper's 100 item collection project was 100 Legos. Cooper loved today!